thats the way Juliet likes it! This has become a humorus statement around the medical team! The Doctors, one in particular, say it with quite a chuckle! Some just shake their heads. Slowly she is improving! After 19 days on the vent she was stable enough to take her off of it. 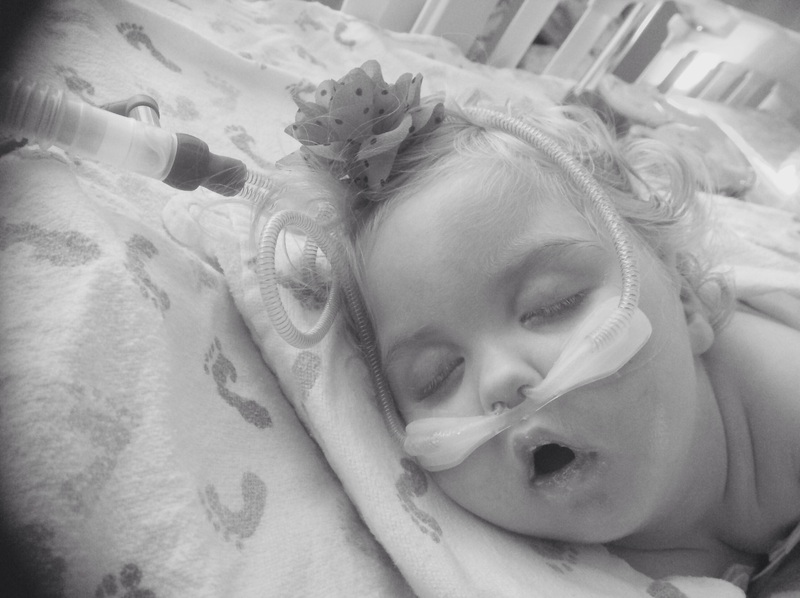 Today, On day 28 of This admission, she is still in the PICU here at Children’s. She is working slowly to kick the issues with withdrawal from sedation drugs. Once she conquers that then; she will move on to weening the oxygen support. One thing at a time. Again! that’s the way she likes it. Posted on April 14, 2015 April 14, 2015 1 Comment on Slow News Day!